Fix the app, across all platforms. It’s glitchy. Add a skip intro button. 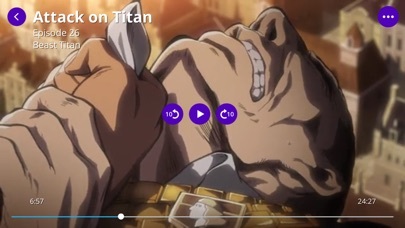 Fix it to where it doesnt wait until after the credits, before you can skip to the next episode. Fix the controls, especially on console. 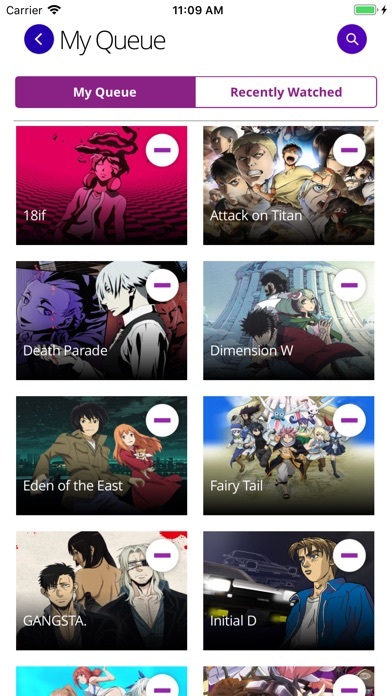 R1 to skip episodes, often puts it back to the main menu. Maybe actually update the app every once in a while too. Just saying. I was loving this app at first. But then half way through my show in season two now I have to pay to move on. This is stupid. Don’t you guys make money by all of your 3828472 ads. It disgusts me that FUNIMATION allows its employees/VAs' like MONICA RIAL, JAMIE MARCHIE, RON TOYE, SEAN SCHEMMEL, CHRIS SABAT, and among others people to harass #IStandWithVic supporters and VIC MIGNOGNA based on false allegations: from rumors that provide zero credibility, pictures that were photo shopped, and edited YouTube videos that caused VIC MIGNOGNA to be fired. As for MONICA RIAL, JAMIE MARCHIE, and SEAN SCHEMMEL found it enjoyable to mess with an innocent mans' career; including bad mouthing the I STAND WITH VIC movement who looked into facts discovering people from FUNIMATION, Twitter, and YouTube sites known as the KICK VIC MOVEMENT actually rallied together to intentionally ruin VICs' career just for the fun of it. 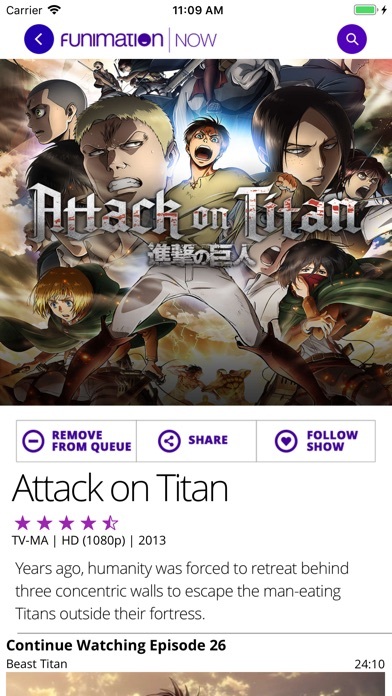 FUNIMATION lied for months that they've done an investigation which isn't professional!! VIC MIGNOGNA was fired without proven guilty and still got fired anyway; all because FUNIMATION simply followed the false accusations on both YouTube and Twitter; including both listening and indulging the words and actions of your employees: MONICA RIAL, JAMIE MARCHIE, SEAN SCHEMMEL, CHRIS SABAT, RON TOYE who didn't provide evidence that VIC MIGNOGNA was guilty. Also MONICA RIAL, JAMIE MARCHIE, SEAN SCHEMMEL, RON TOYE, CHRIS SABAT, and CHRIS RIGUR are guilty for harassing people on social media who just question for the truth about their false accusations against VIC MIGNOGNA? FUNIMATION why don't you do the right thing to hire VIC MIGNOGNA🙏 back and fire all those people that I mentioned that still work for you that I mentioned who continue on being total #hypocritical jerks to Dragon Ball fans VIC MIGNOGNA? I guess that you prefer to be a UNFRIENDLY, DISRESPECTFUL, DECEITFUL, and HOSTILE; oh that's right that's what you'll ever be and never change for the better!! I got a digital movie of dragon ball super:broly and it seems that when I put in the code it worked for awhile but after I closed the app. I could not watch the movie unless I got premium. I really just got this free trial to watch Nichijou and as soon as I finish I won't be coming back. The app randomly crashes while I am watching and takes a really long time to load. It also gives me an error message for every episode I try to watch before it plays. 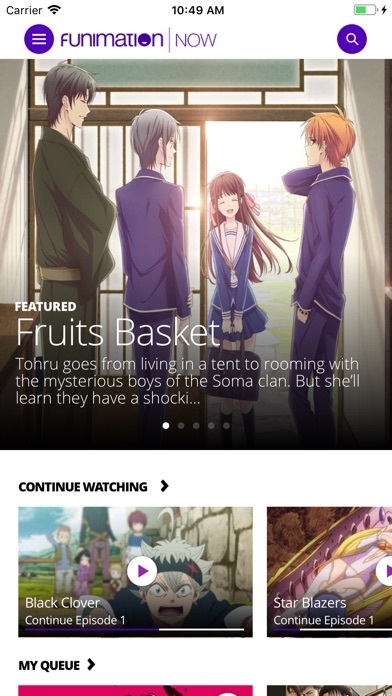 VRV is a better anime app. It is user friendly and the videos load without a problem. I paid for premium, but it doesn't recognize it. Sometime happens with all platforms. I don’t see why people don’t like it. Yeah it has some bugs but it’s not bad to be honest. I bought the digital copy of dragon ball super the movie, and I have to be premium to watch on my phone something I already bought? Nope.